RoboForm 6.1.9 0 out of 5 based on 0 ratings. 6.2.0: Adapter: Portable Firefox is fully supported, add support for Firefox 1.0.1. 1.2.0: Pocket PC: major release, many bug fixes and improvements. 6.1.8: Make Lower Toolbar assume the color of other toolbars or background. 6.1.7: Adapter: make Mozilla Adapter work with Portable RoboForm. 6.1.4: Improve auto-fill and login on heavily JS-scripted sites such as betandwin.com. 6.1.4: Fixed instability that might occur when RF detaches from IE-based browser on Windows ME/98. 6.1.4: Adapter: RF toolbar can take less than whole line by using Toolbar palette. 6.1.4: Adapter: implement Login In New Window as Login in New Tab. 6.1.2: Adapter: Lower toolbar now appears on top of native RF Mozilla toolbar. 6.1.2: Adapter: Selective form filling now works in Mozilla. 6.1.2: Adapter: Automatic clicking of Enter key now works in Mozilla. 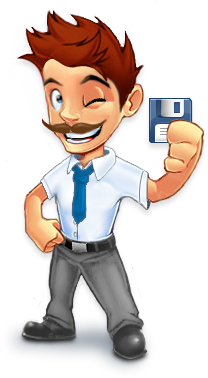 6.1.2: If files in old format are encountered, offer to convert them to the new format. 6.1.2: Add Unload Portable command, as alternative to closing RF taskbar icon. 6.1.0: Major fixes in Portable RoboForm, make it a production release. 6.1.0: Change Portable version icon to Robot on a Briefcase. 6.1.0: Switch language in RoboForm toolbar and windows without restarting them. 6.1.0: Make \"AutoLogoff on Standby\" an option, Off by default. 6.1.0: Show change of Data Folder state by balloons in taskbar icon. 6.0.9: Speed up and stabilize Lower Toolbar integration. 6.0.9: Customizable browser context menu in Firefox / Mozilla. 6.0.9: Add Letter Country Code for European countries (such as D for Germany). 6.0.8: Introduce *.RFI files for UI strings, they are optimized versions of *.RFS files. 6.0.8: Add Poland and Turkey to form filler list of countries. 6.0.7: Introduce Portable RoboForm (Beta). 6.0.7: Add Drag-and-Drop to Editors, so that files can be dragged from folder to folder.